Staff Notes: Loud surface noise due to wear. This corrido is about about Alonzo who took revenge for his father. 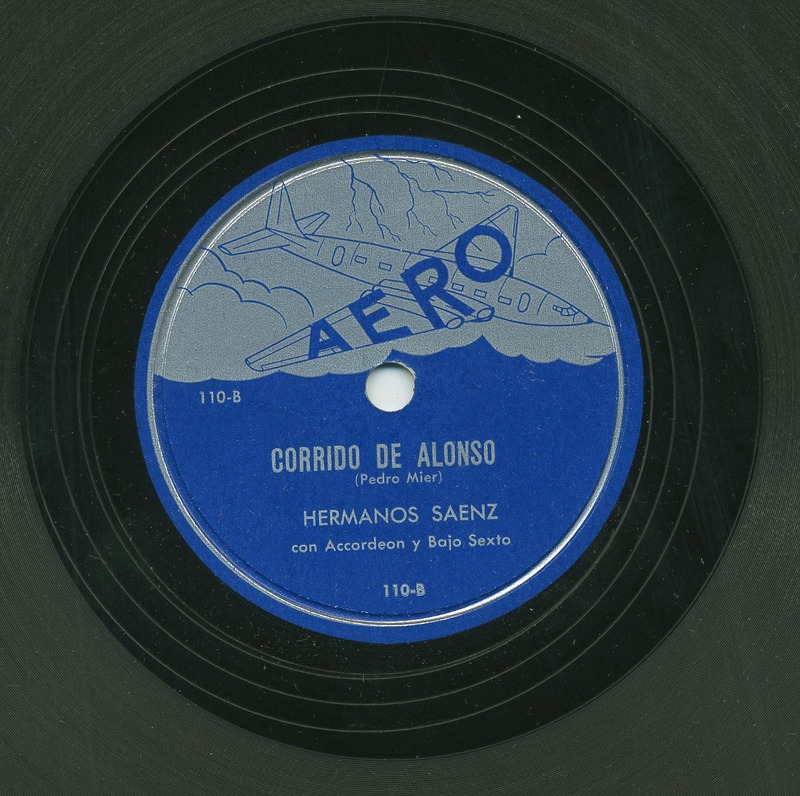 Corrido starts out with Alonzo going to Texas with his mother and then returning to to Mexico to take revenge for his father. Alonzo killed a military leader named Margarito who it turns out would take money from the store owners. Loud surface noise due to wear. This corrido is about about Alonzo who took revenge for his father. Corrido starts out with Alonzo going to Texas with his mother and then returning to to Mexico to take revenge for his father. Alonzo killed a military leader named Margarito who it turns out would take money from the store owners.